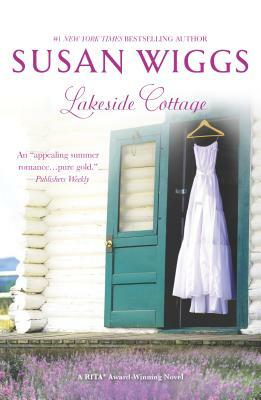 If you trust your heart, you'll always know who you are... Each summer, Kate Livingston returns to her family's lakeside cottage, a place of simple living and happy times--a place where she hopes her son, Aaron, can blossom. But her quiet life gets a bit more interesting with the arrival of a mysterious new neighbor, JD Harris. JD has a good reason for being secretive. In a moment of sheer bravery, the Washington, D.C., paramedic prevented a terrible tragedy--and became a national hero. He's hardly able to remember who he was before the media frenzy...until he escapes to this lovely, remote part of the Northwest. Now Kate and Aaron have rekindled the joy of small pleasures and peace, something JD thought he'd never have again. But how long will his blissful anonymity last before reality comes banging at his door? "Wiggs's thoroughly captivating tale draws readers into her characters' lives and minds in a way that makes them real and true and unforgettable." --Booklist.